Soulful and versatile singer Linda George, one of the most successful and respected Australian female vocalists of the 1970s, is best known for her 1974 hit "Mama's Little Girl" and after her period of pop success in the 1970s she went on to be an in-demand session singer and teacher. Linda was born in the UK and emigrated with her family to Australia as a young teenager in the 1960s settling in Adelaide. By 1969 Linda had joined her first band Nova Express, a jazz-rock ensemble augmented by a horn section, similar to the influential US groups Chicago and Blood Sweat and Tears, with the notable difference of having a female singer up front. Finding it hard to financially sustain a large ensemble Nova Express soon moved to Melbourne, Victoria, then the live music capital of Australia. There they entered and won the state final of the 1969 Hoadley's Battle of the Bands, though they lost out to The Flying Circus, runner up Zoot and third place getter Autumn at the National Finals. In 1970 the band released their first and only single on the EMI's Columbia label. A more than competent version of "Piece of My Heart" (originally recorded by Erma Franklin, then Janis Joplin). This debut single managed to reach a respectable #28 in hometown Melbourne and George’s career began to take off. A rare clip of Linda and Nova Express performing "Around The Block" on the ABC's HitScene was posted on YouTube in June 2007. She left Nova Express later that year for a solo career, initially sharpening her performance skills with Brian May and the ABC Showband on a tour of Vietnam. In 1972 George joined the new independent label Image Records and released her first solo single "Let's Fly Away" in May of that year. Though not a success, her career received a major boost in March 1973 when she scored the pivotal role of the Acid Queen in the groundbreaking Australian 'arena' production of The Who’s rock opera Tommy. Linda’s performance was singled out for praise amongst a cast of local stars including Daryl Braithwaite, Colleen Hewett, Billy Thorpe, Ross Wilson, Jim Keays, Doug Parkinson, Broderick Smith, Wendy Saddington, Bobby Bright, with The Who’s Keith Moon reprising his role as 'Uncle Ernie' for the Melbourne show only. The Sydney show, with Molly Meldrum replacing Moon, was televised by the Seven Network and this telecast later received a TV award for the year's most outstanding creative effort. The raised exposure helped ensure that George’s second single in July 1973 was a success. A superb interpretation of the then current Gladys Knight & the Pips U.S hit "Neither One of Us" George’s version narrowly missed out on becoming a national Top 10 hit, while the original failed completely to dent the Top 40. George's hit follow up, an updated remake of the Ruby & The Romantics 1963 hit "Our Day Will Come", while not as big a hit, helped keep her name at the forefront. Next came the much acclaimed debut L.P. Linda in August 1974. American producer Jack Richardson (who had worked with Alice Cooper, The Guess Who, Poco and Bob Seger among others) was brought to Australia by Image Records boss John McDonald and Linda's manager Gary Spry of Aim Australia Management (who was the former manager of The Twilights) and was recorded with the best session musicians of the day. 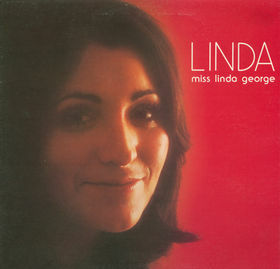 Unusually, neither of Linda's previous two hits were included on the new record. However, the first single lifted from it, "Mama's Little Girl", went to #8 nationally, becoming her most successful recording and her signature song. It’s follow up "Give it Love" was not as successful but did garner enough TV and radio exposure to keep album sales moving. While only peaking at #32, the Linda album stayed on the charts for five months, quite an achievement for an Australian female performer at the time. The previous two years had also seen George win several awards as "Best New Female Artist", "Best Female Vocalist", "Best Female Single" -- despite some formidable competition at the time. She was acknowledged as one of Australia's top female singer and her appearance at the final historic 1975 Sunbury Pop Festival confirmed it. That month she appeared on the first colour edition of Countdown, performing "Give It Love" (see YouTube links below). Now at the peak of her still-young career Jack Richardson was again enlisted to produce the follow up album, Step by Step (December 1975). While the album again highlighted Linda's love of American soul music which had provided the hits for her to date, the new album also added a slightly tougher rock edge to the mix. After its release Linda parted ways with her management. 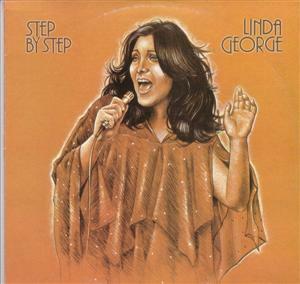 To promote the album she formed her own Linda George Band which performed throughout 1976 to rave reviews. The album’s first single "Shoo Be Doo Be Doo Dah Day" performed reasonably well in her hometown of Adelaide, but reaction in the rest of Australia was only lukewarm and the album only managed three weeks at the very bottom of the Top 40. A follow up single, the title track, was released to boost sales but, this failed to chart. Image then released a brand new, non-album single "Sitting in Limbo" (Nov. 1976), a version of the Jimmy Cliff classic, but it too was unsuccessful. Following the failure of the single Linda broke her ties with Image and became an in-demand session singer with many prominent pop and advertising sessions to her credit. Throughout her hitmaking years Linda George had been in demand as a backing vocalist on many singles and albums by her contemporaries, including Brian Cadd, Madder Lake, Daryl Braithwaite, Normie Rowe, Marcie Jones of Marcie and The Cookies and Kerrie Biddell. During the late 1970s, her voice prominent in the background of many recordings, and she was also one of the most recognised and fequently used female voices for radio and TV jingles. During 1979 Linda performed backing vocals on Mike Brady’s album Invisible Man. Brady had just enjoyed a massive #1 hit with "Up There Cazaly" and helped by this success, he set up his own record label, Full Moon Records, through which the album would be released. One of the results of all this was that George signed to the label and was again back in the spotlight. Her first single in four years was a duet with Melbourne stalwart Paul McKay on "Love Is Enough" which was released in April 1980. It received substantial airplay on radio and TV and Linda found herself back in the charts ten years after first charting with Nova Express with the single peaking at #25 in Melbourne. The follow-up single, the uptempo "Telephone Lines" came out in 1981 and also enjoyed some airplay, but was not a chart success. One last single was released on Full Moon in 1982 but this one sank completely without trace and she has not recorded since. As well as resuming her session work, Linda also spent much of the 1980s singing with the soul big bands Grand Wazoo and W.J.A.Z and often guested with the Cox-Brady band. More recently she has taught voice at the Victorian College of the Arts.